This blog is deeply saddened and shocked by the death of my friend and publisher Steve MacDonogh. My thoughts are with his family, particularly Meryem and their baby Lilya, his mother Barbara, sister Deirdre, and brother Terry, and the extended MacDonogh family. Condolences also to Máire and all who work at Brandon. secrecy of the British state on the other. published my writing in the early 1980’s. published Neil Jordan, Ken Breun, and many other authors who went on to win international recognition. He relaunched Walter Mackin, Patrick McGill and JB Keane. book on U.S. President Barack Obama’s Irish roots. Protestant exodus to, and influence in, the USA. the Berber people and was returning from there when he became ill. Totally shocked and devastated by the news. 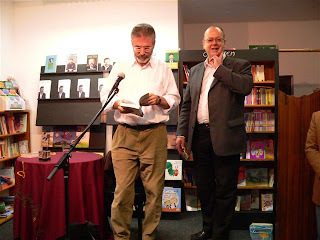 Steve was one of the good guys of publishing, and helped further my journey as an author, taking chances with my books when other publishers closed doors. How do you replace people that this, you don't , you just hope that someone can learn from their lifes work. The older one gets the more great friends one seems to have lost. We are the total sum of all are friends- so deeply sorry for this great loss to Ireland and the world ,as well as you Gerry. I knew Steve for 30 years, meeting him at the offices of Writers and Readers Publishing Co-operative in the late seventies. Steve was a man of huge integrity who championed the cause of a united Ireland, like many of his generation and those before and since, and also that of human rights and freedom of speech (not forgetting that under the enlightened premiership of Margaret Thatcher Sinn Fein representatives were not even allowed to speak on British TV but had to have their words transmitted via the mouthpiece of British actors). Steve was the originating publisher of works by Sinn Fein president Gerry Adams, but his independent house Brandon was a much wider vehicle, publishing Irish fiction writers such as Neil Jordan, later the noted film director and most recently he had penned a book about President Obama. 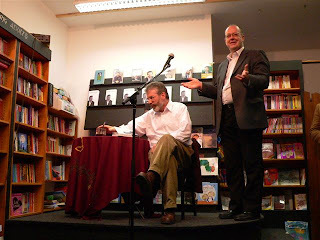 Steve was also very active not only in the Irish book trade, where he was a much respected senior publishing figure, but also internationally. And, in this age of relatively bland corporate publishing, he was also an extremely courageous and committed individual, with an enlivening sense of fun. All of us at Pluto Press are deeply shocked and saddened by this. Steve was a courageous man and a great publisher. We shall miss him greatly and our thoughts are with his family, friends and all those privileged to have known him. The world of books and the world itself is a poorer place without him. Shocked and saddened to hear of Steve's death! 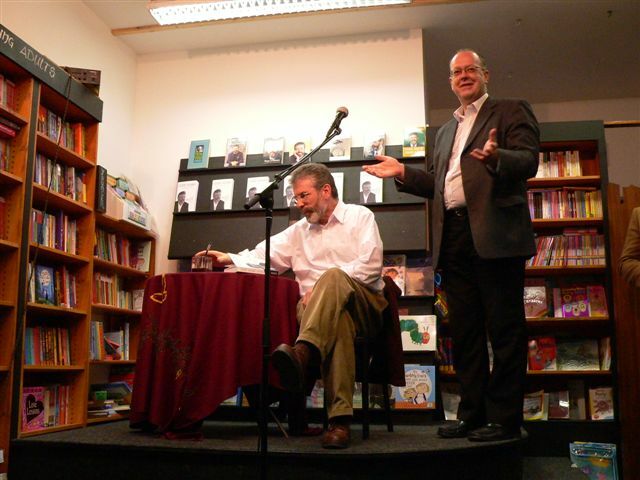 I had the honour as Church of Ireland rector of Moneygall of launching his last book on Obama in Moneygall. A great book and a salient reminder of how the Protestant & Catholic traditions on this island have a shared story which is the basis for a more possitive and constructive shared future. I spent many enjoyable hours over the last few years delving with Steve through the Obama ancestral records held in our parish archive. Also enjoyed a few pints of Guinness with him after the work was done and found him to be great company and a man of deep conviction and integrity. A huge loss to his family, his friends and to the Irish literary scene. May he rest in peace. I am devastated to hear of Steve's death. I met him in the early eighties when he repped Virago books in Ireland, along with other 'weird' lists, which got him banned from bookshops. I was Virago's sales manager, recently arrived from New Zealand. I have known him longer than just about anyone on this side of the world. He was always assiduous in making contact when he came to London and at Frankfurt. Although I saw him only 2 or 3 times a year he was a very important person to me because he was brave, kind, clever, a bit crazy, alert to injustice and open-minded in the extreme. I feel very sad that he had to go and die when he had just found the love of his life, his darling daughter Lilya. I met Steve at an international theatre festival in York in 1971 and greatly admired his writing, thinking and his humanity. We lost touch, only to reconnect recently when I interviewed him on his new book on Obama's Irish roots. I was hoping for so much more -- Steve had fully flowered and I looked forward to visits and a continuing friendship. My condolences to his family, friends and colleagues everywhere.